Do your kids find the idea of learning to code boring or intimidating? Here are some tips to get them started and get them having fun. t As we talked about in 7 Reasons you should teach your kids computer coding, it’s essential that today’s kids learn how to create digital programs, not just consume them. But don’t worry. Coding doesn’t mean boring. 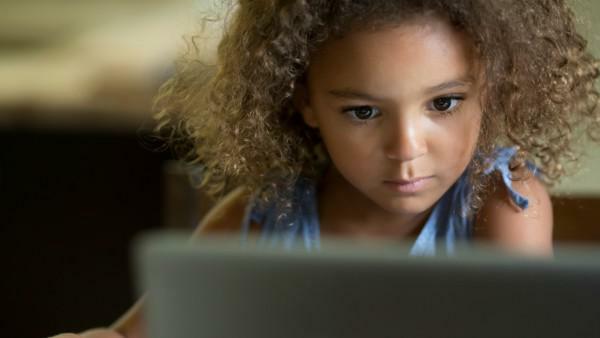 Here are seven fun ways that your kids can learn to code. t For kids who’ve spent their entire lives on mobile devices, games like Kodable, Move the Turtle and Lightbot will feel as natural as any of their other games. But play these versions and they’ll soon be learning programming logic and how to think like a computer. tScratch is a programming language that allows kids to create interactive stories, games and animations in a very visual, drag and drop manner. What’s wonderful about Scratch is not just the power of how much can be created with it, but also the community your kids will join when they begin programming in it. Rather than having to start from scratch, kids can play with and modify games and stories that others have written, remixing them as they see fit. Then they can share the programs they write with others to show off their own creations. tLego Mindstorms combines the LEGOs we know and love with motors, sensors and remote controls that your kids can program to do whatever their imaginations dream up. With Mindstorms, your kids can build robots that walk, talk and do as they command. t If your kids play Minecraft, they’ll eventually grow bored with the available mods and want to start building their own. Since Mods are built with real-world programming languages like Java, this is a great way to take their programming skills to the next level. YouthDigital’s Learn Java with Minecraft looks like a super fun way to learn through their video-guided, online course which shows kids how to program in Java in order to create their own swords, armors, tools, food, achievements and more. t Raspberry Pi is a credit-card sized computer you can buy for under $50. Simply hook it up to a TV or monitor, plug in a keyboard and mouse and presto. Instant, affordable, fully functioning computer. It’s a great way for kids to learn about the hardware that computers run on. Plus, there are versions of Scratch and Minecraft for the Raspberry Pi, which make it a great tool for kids who are learning to code. t As a bonus, Minecraft for Raspberry Pi is the only edition of the game that lets players program it directly, giving your kids even more options for controlling their Minecraft experience (this time, using code written in Python). Find this and other Pi learning resources here. t The above are all great ways to jump in and start coding. But sometimes it can really help to have an actual book to work through (and that you, as a parent, can understand too). tHelp Your Kids with Computer Coding is a fun, interactive book that walks you through writing computer programs first in Scratch and then in Python. Don’t worry though, this is not your typical, boring programming text. The book is colorful, playful and engaging, using a combination of words and pictures to explain complex programming topics like this one, which shows the importance of being precise and clear when you code. t Photographs and text reproduced by permission of DK, a division of Penguin Random House from Help Your Kids with Computer Coding, 2014 by DK. All rights reserved. t With special thanks to the book’s author, Dr. Jon Woodcock M.A., for sharing several of the tips described here.